Christmas giving starts on Christmas Day ( the 12 days of Christmas), in the days prior to Christmas it is Advent, a time of preparation, reflection and calm. I am trying something different this year by embracing the reflection time by being in my projects. Everything I have been making has been purposeful in either the process or the function. This Tomte is Thom. He is fun loving and has a thing for gingham! I used a variety of fabrics to create his look and paper pieced this block using Aurifil 50wt. I prefer 50wt for all piecing but with paper piecing it is an absolute must! 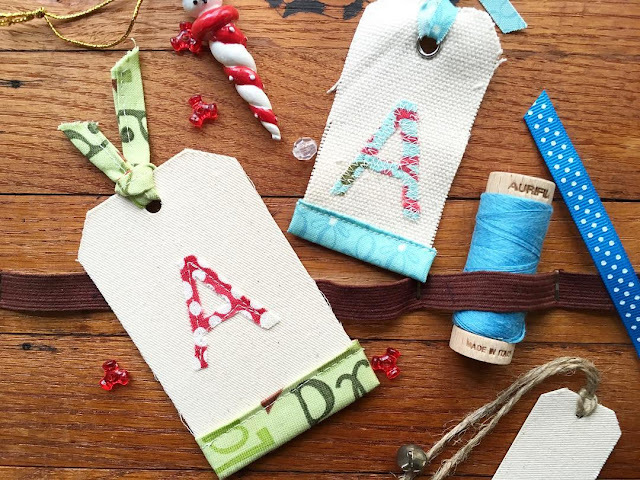 I made simple gift tags with store bought canvas tags from Tuesday Morning and fabric scraps! The letter just a print out I printed on freezer paper ironed on the fabric scrap and cut out the letter. I did not use interfacing, it was small enough that just stitching it down was easy enough! 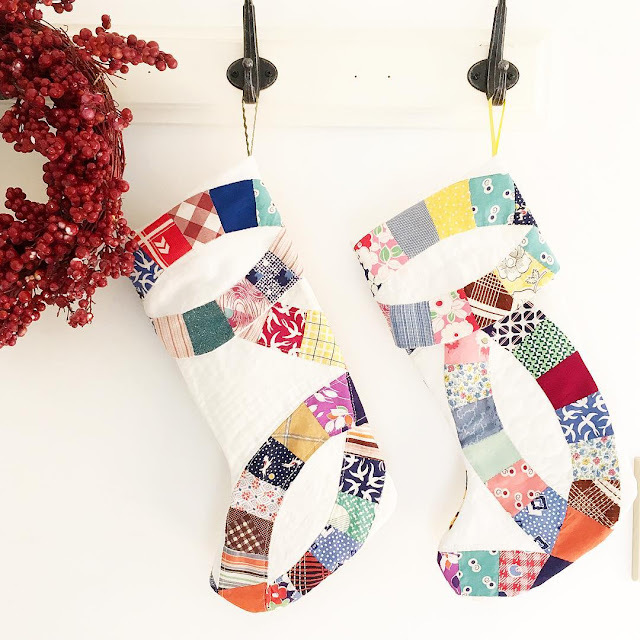 Stockings were another item I had been wanting to update and in my sewing room there were bits and pieces of a vintage quilt. I was not sure that these would work out but they are and I could not be more pleased with them. I have a few more to make and will share them when they are finished! More fun with Tuesday Morning finds! Gift bags for little things! I hoard anything Kate Spain! This Christmas fabric I keep every shred and oh boy am I happy I had! 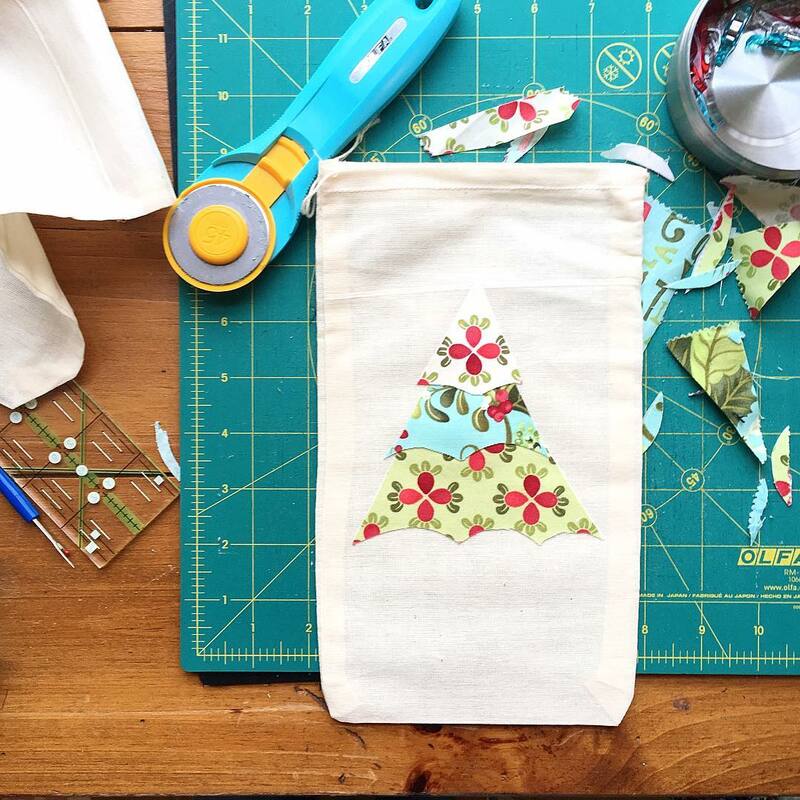 It makes for a festive simple bag! 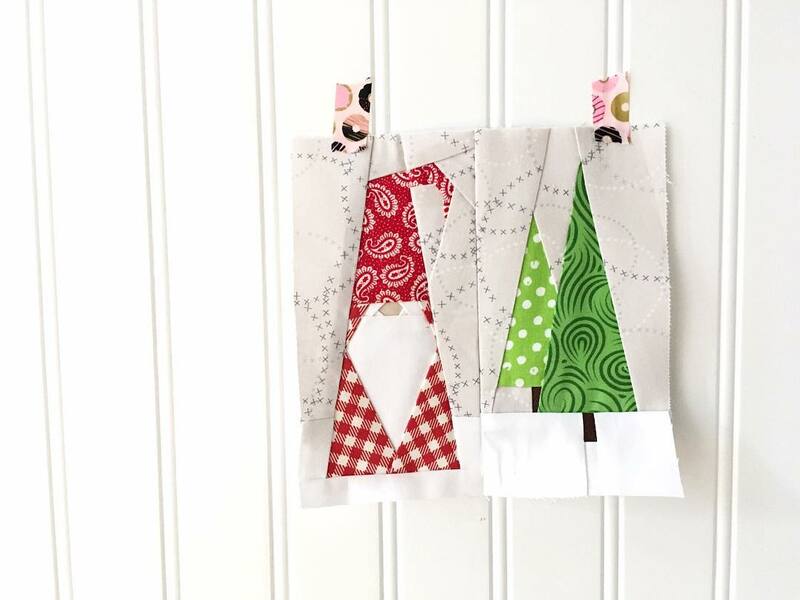 These are so simple with fusible interfacing ( I think I used Wonder Under). The trees parts are just improv. A quick measure of the width of the bottom first, cut a triangle, make the curves with your rotary cutter and repeat for the middle and top! 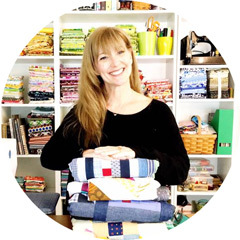 When you are happy with the sections, secure them with the interfacing! For the first time in many years, I am sending out Christmas cards! There have been numerous hours spent attempting to paint trees. The results are not professional. The cards are all me! A work in progress! Wishing you are peaceful Advent in preparation for Christmas! There will be more fun projects I will be sharing in the next week and then time to decorate! Enjoying the process again is wonderful!